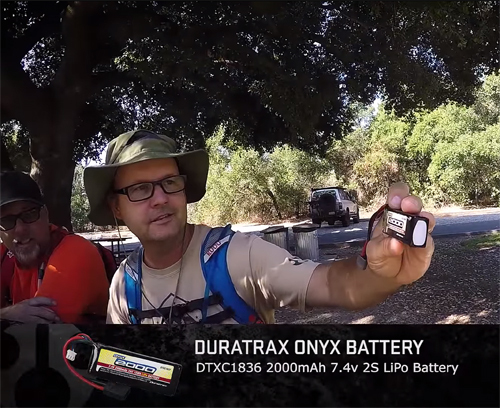 If you’ve ever sat around the campfire at an RC event or perhaps camped out with some buddies on an epic multi-day RC trail adventure, you may have heard the tale of “mAh Per Mile.” As the tale goes, a rugged RC adventurer, gear junkie, and as legend has it, talented Global Marketing Director has been spotted wandering some well worn trails through California. The man, well supplied with all the contents needed for a trail hike is on some sort of mission. Passer-bys stare at him in wonder as he trudges through the less taken path, his head down and muttering to himself. What is he saying? What is he doing. On one trail, the Redonda Ridge Trail it was evident things were getting more serious. He now travels in a herd of RC trail adventurers and some of his mutters turned into recognizable phrases. “mAh Per Mile” “mAh Per Mile” he kept repeating. This blog post will serve as an evolving report of a talented Axial team put together by Rodney to determine an answer to the burning question. The team will be testing different batteries, different rigs all in an effort to get out of the office and have fun on the trails. WAIT! I mean test RC equipment for the good of telling you how much time and fun you can get from your Axial adventure machine. Watch the videos and keep checking back to the Axial Blog to see how the science, testing and general goofing off unravels. There’s one question we hear a lot – how far will your rig go on one battery? To find the answer, we’ve created a little formula; mAh Per Mile. In Part 1 of this series, we break down the ‘how far will it go’ question and fill you in on how we plan to find out using this formula.